Britain’s fiscal watchdog has slashed its expectations for growth this year to the lowest level since the financial crisis, as the Chancellor warned of a Brexit “cloud of uncertainty” hanging over the UK’s economy. In documents released alongside Chancellor Philip Hammond’s Spring Statement, the Office for Budget Responsibility (OBR) said growth in the UK and global economies had slowed since October’s Budget, leading to a downgrade in its short-term forecasts. Gross Domestic Product (GDP) is now expected to grow by 1.2% in 2019, compared to a previous prediction of 1.6%. 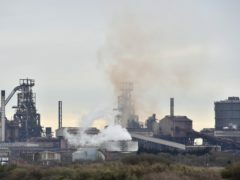 “In recent weeks survey indicators of current activity have weakened materially, in part reflecting heightened uncertainty related to Brexit,” the OBR said. It echoed last month’s sentiments from the Bank of England, which warned Brexit uncertainty is set to see growth slump to its lowest level for 10 years in 2019. The Bank has also slashed this year’s growth forecast to 1.2% – the lowest since 2009, when the economy contracted by 4.2% at the height of the recession following the financial crisis. Mr Hammond warned that Tuesday’s Commons defeat for Theresa May’s Brexit plan “leaves a cloud of uncertainty” hanging over the British economy. The OBR said a recent run of disappointing economic data in both the UK and other major economies had also weighed on expectations. However cumulative growth over the next five years is now expected to be slightly higher than it was at the Budget forecast. The OBR’s estimate of 1.4% growth for 2020 remains unchanged, but 2021 and 2022 are now expected to deliver slightly higher growth, with 1.6% forecast for both years. The estimate for 2023 remains unchanged at 1.6%. But the OBR also warned that a disorderly no-deal would pose a risk to the predicted growth rates, as the numbers are based on an assumed scenario in which the UK leaves the EU with a deal on March 29, and enters a transition period. Speaking at the Institute for Government, OBR chairman Robert Chote said that even with a deal there could be further uncertainty relating to Brexit. Borrowing is expected to be lower this year, coming in at £22.8 billion, down £2.7 billion since October, which the OBR put down to higher income tax receipts and lower debt interest spending. This, alongside lower medium terms borrowing forecasts, means that the Chancellor’s headroom in the public finances have increased from £15.4 billion at the Autumn Budget to £26.6 billion. The Chancellor told MPs that the OBR also expects 600,000 additional jobs to be generated by 2023, reaching a total of 33.2 million people in employment. Wage growth expectations have been revised upwards to at least 3% in each year until 2023, although this year’s 3.1% estimate will mark a slowdown on last year’s 4.1% growth.